I’ve been thinking about Tris since I finished Divergent this fall. I wonder how I would choose – I know what I would like to think of myself, but is that reality. Could I choose one path, one attribute to follow for the rest of my life for the good of society? When I am honest with myself, I know that I would be one of the factionless because I could not be brave enough, smart enough, selfless enough, honest enough or caring enough to just be that always. Maybe Tris has been thinking this same thing all this time. Certainly she is troubled with how the factions are deteriorating and no longer working for the good of society. She is Divergent – with equally strong aptitudes for several factions. She is not easy to control and because that is what must be done if the Erudite are to take over, Tris must endure great pain and heartache to resist and find a way to end the greed and destruction. Her choices are difficult. She has already lost so much, and she could stand to lose all that remains and still move forward. 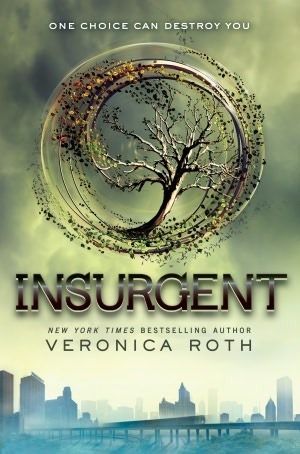 Insurgent – “a person who acts in opposition to the established authority, who is not necessarily regarded as belligerent.” Tris: intelligent, brave, selfless, flawed, but genuine. I can’t wait to read the final part of her story.